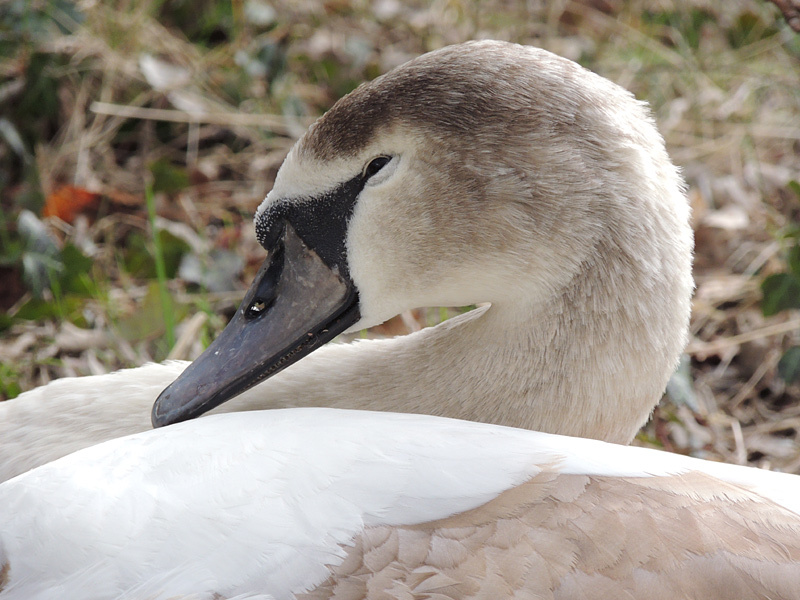 Birds featured on this page are Swans, Geese and Ducks. Several of these species are resident year round, whilst others are present for the winter and some have only been seen when passing through on migration, etc. A selection of images can be seen in the gallery and then the status of each individual species on the park is detailed below that. Bewick’s Swan Very rare vagrant, now extremely rare with several small and medium size flocks on passage during the 1980’s, three records during the 1990’s, including 20 on 21st February 1993, 18 on 22nd March 1996, then a long wait until the family of 3 on 28th December 2014. 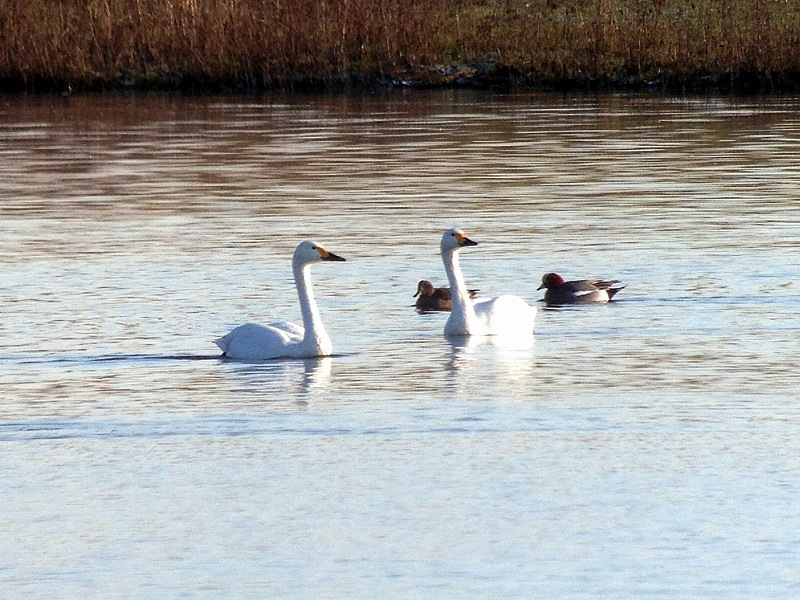 Whooper Swan Extremely rare vagrant, 3 records of wild birds, 1 over 20th March 1982, 4 over 31st December 1996, then a long break until 7 over 10th November 2013. The record of 1 on 7th & 14th February 1988 was not proven to be wild. 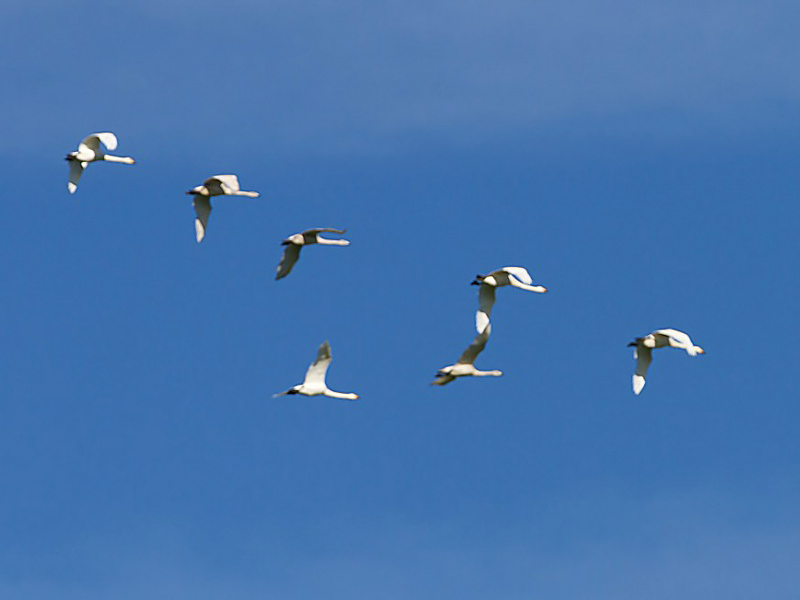 Snow Goose Feral birds sometimes visit in flocks, such as 14 from the 13th to 19th March 1983, 14 on 27th February, then 16 on 28th to 29th, the most recent flock was 17 on 15th February 2011. 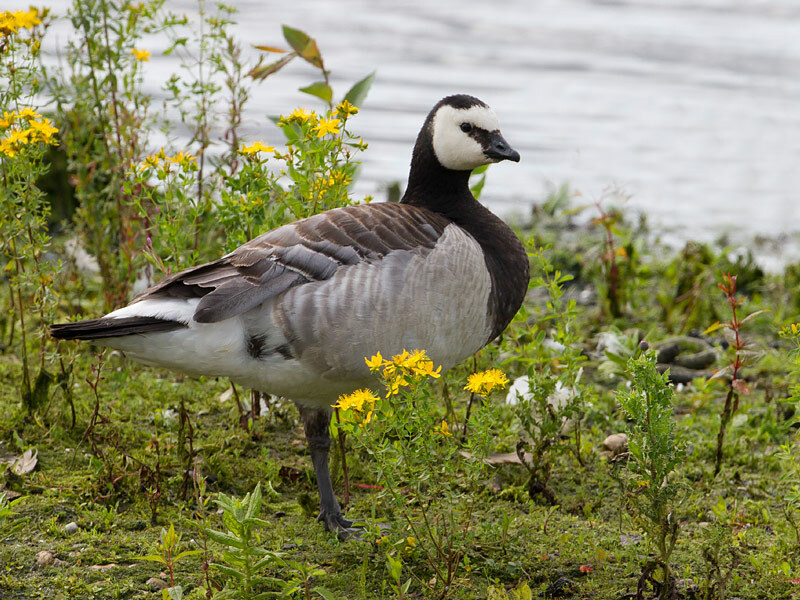 Tundra Bean Goose Extremely rare vagrant, 3 confirmed records : Tundra Race – 1 on 13th January 1983, 3 on 16th & 17th March 1987, one unconfirmed report of 2 over 15th January 1995. Taiga Race – 1 over 8th December 2010. Pink-footed Goose Extremely rare vagrant, 3 records, 1 on 28th February & 1st March 1984, 1 on 30th & 31st December 1985 and 1 on 13th March 1994. White-fronted Goose Rare vagrant, which was nearly annual until 1987, various records of 1-3 birds, plus small flocks have flown over during migration between November and January, 16 on 5th December 1982, 61 on 12th November 1983, 26 on 8th November 1986, 55 on 1st January 1987 and another 35 on 12th January, on the fields behind Lavell’s. 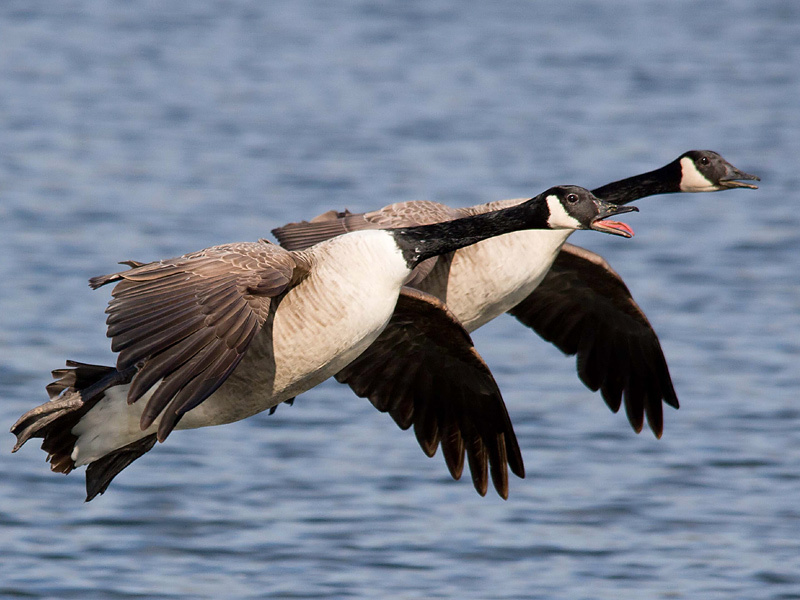 The last confirmed record was 2 on the landfill associating with Canada Geese from 13th to 17th December 2002. 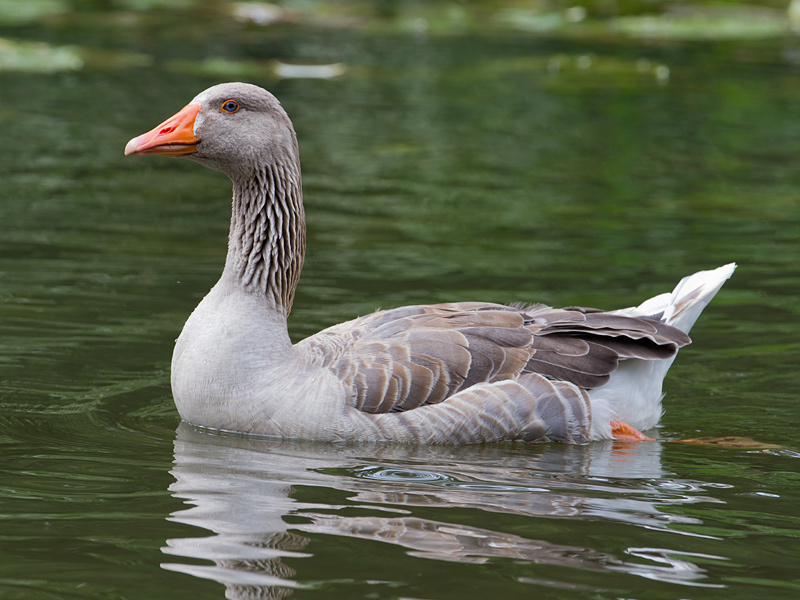 Greylag Goose Resident and a few pairs breeds on BSL & Lea Farm G.P. Flocks of over 50 can be seen. Brent Goose Very rare vagrant, the first record was a flock of 18 over on 12th March 1983, then 1 with Canada’s 25th December same year, 1 on 21st January 1985 on the golf course, 1 on 3rd January 1986, also on the golf course, 1 on 18th January 1987, then 3 on the 31st, 1 staying into February, 1 on 8th & 15th November 1989, 1 on 3rd January 1993, 1 on 17th February 1994 with the last unconfirmed 15th December 1996. 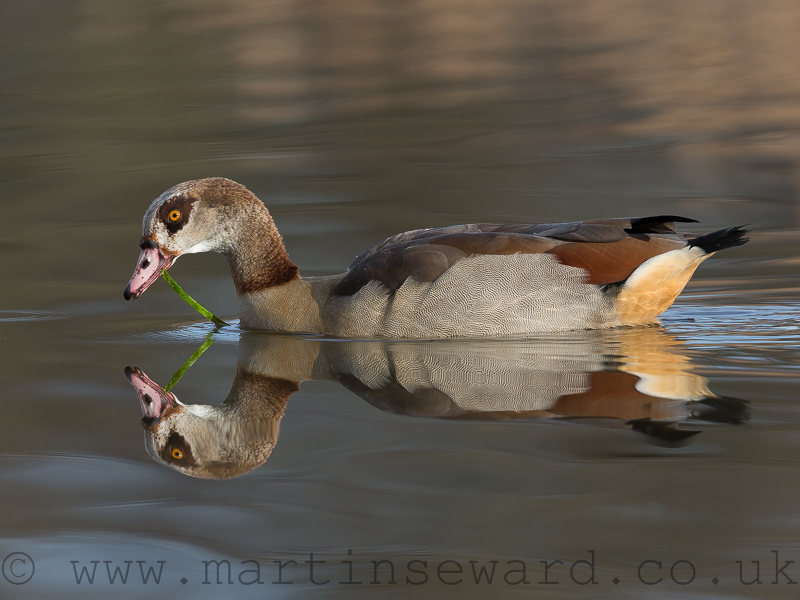 Egyptian Goose Resident and breeds on BSL & Lea Farm G.P. Post breeding numbers can reach nearly 40. 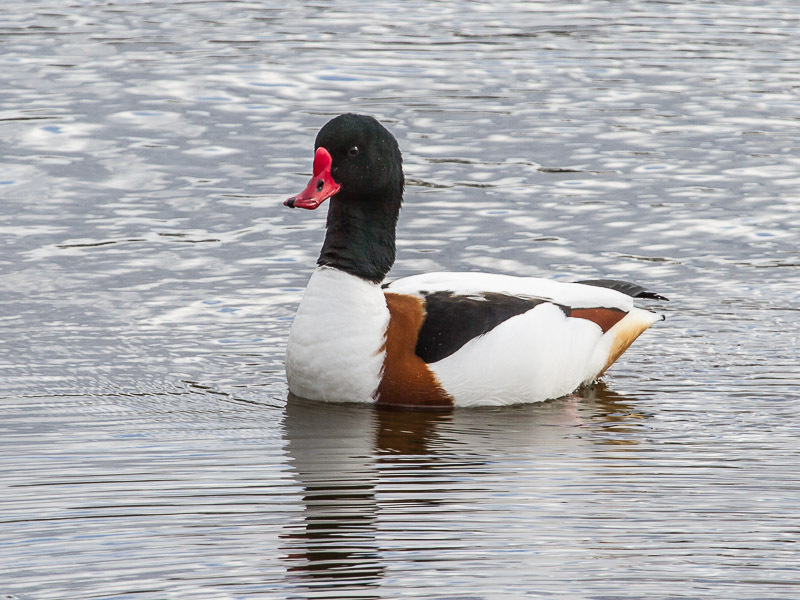 Shelduck Often seen in February to May, preferring Lea Farm G.P. but also seen on BSL & Sandford. Appeared to become more common from 1998, with birds returning as early as January from 2004, but since 2012 there has been a steady decline in numbers and frequency. It is hoped that providing artificial nest boxes may change this. 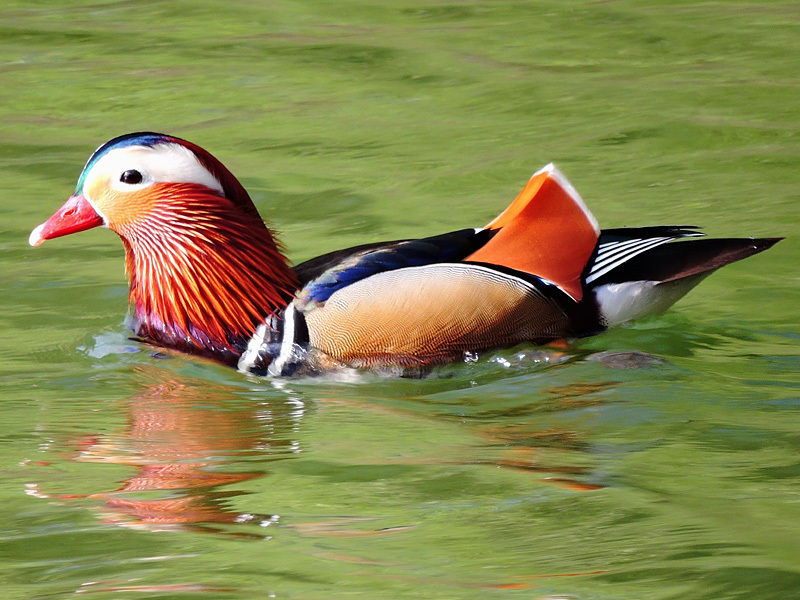 Mandarin Seen mostly along the Loddon, usually between March and July, but can occur any time of year and has bred on the park a handful of times. 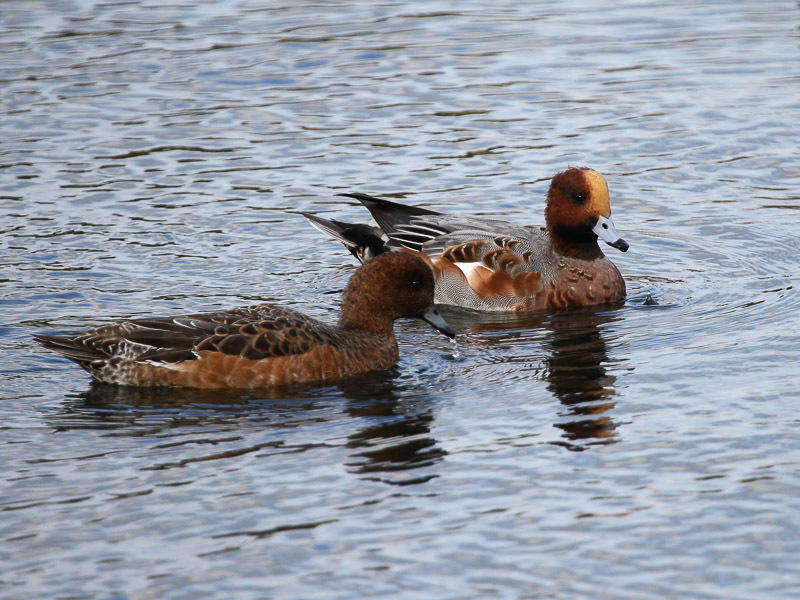 Wigeon Winter visitor, from August to mid April, occurs on all the big lakes and numbers fluctuate, often spiking to over 250 when the medium size lakes of Twyford freeze up. As a grazing duck it has really benefited from Lea Farm G.P. and the nearby landfill, where numbers are often over 300 and reached 1000 in December 2010. 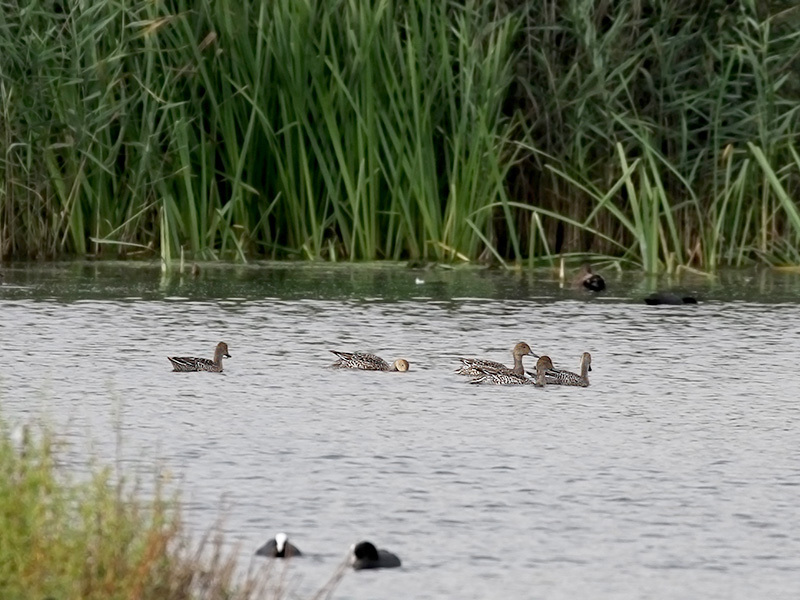 Occasionally large groups of up to 80 can appear on Sandford in mid September. 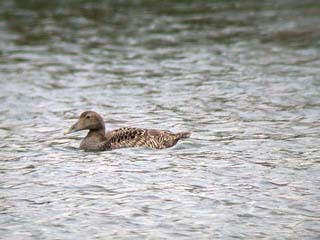 Gadwall Resident and occasionally breeds in low numbers. 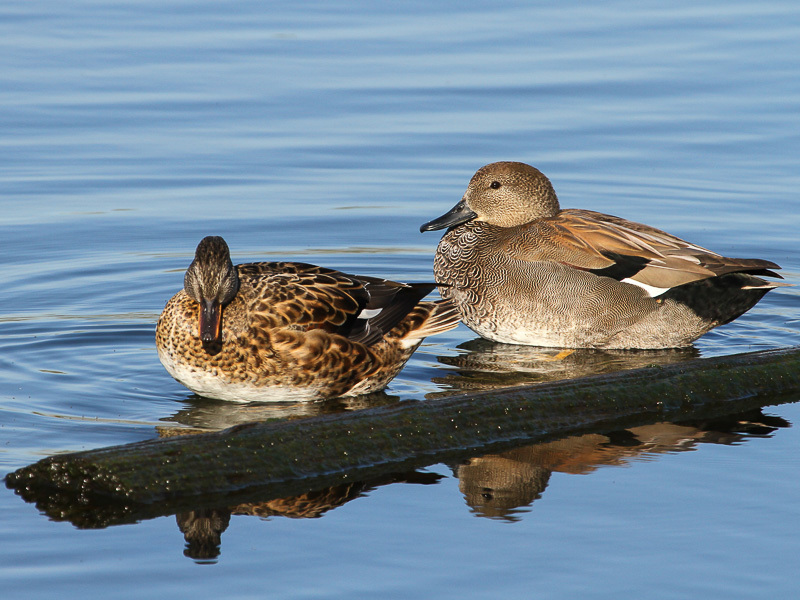 Occurs on all lakes, numbers usually exceed 200 each winter, but rarely break 300 even in cold weather. 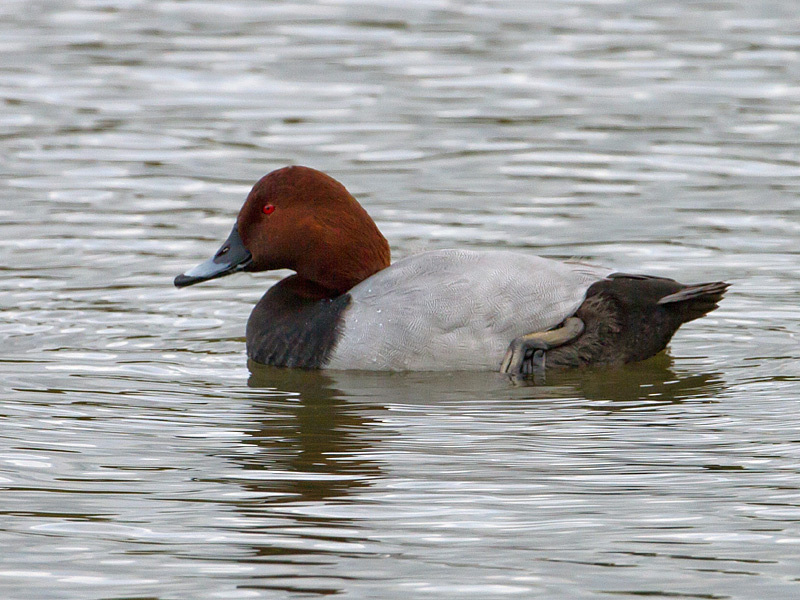 There has been little or no breeding success since 2011, but 1-2 pairs probably still breed locally. Teal Common winter visitor from July to April, sometimes 1, or 2 summer. Generally prefers Lavell’s Tern scrape with 50 being an average count, 80 a high one. Now we have Lea Farm G.P. numbers are always over 100 and have exceeded 260 in 2010. 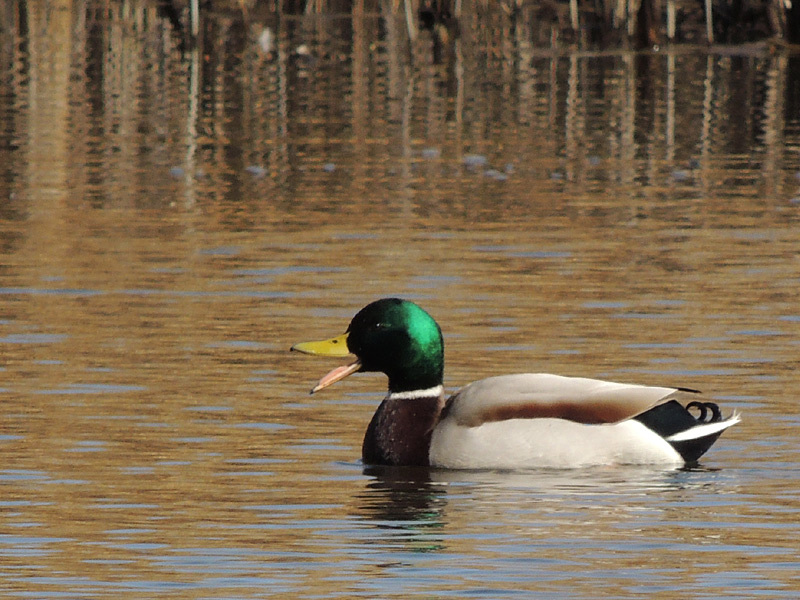 Mallard Resident and breeds on most lakes, winter brings a significant increase in numbers. 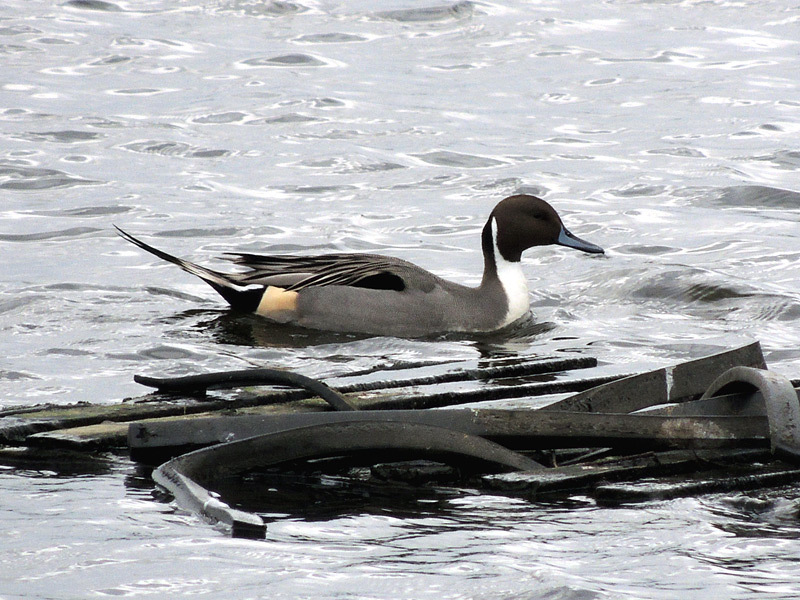 Pintail Uncommon but annual passage visitor. 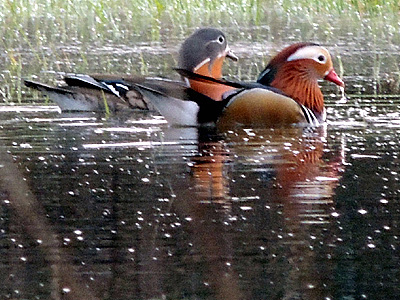 Can occur on almost any lake, but generally Sandford, or Lea Farm G.P. most often recorded in January, February and March. It has also been recorded in 5 out of 10 Augusts between 2005 and 2015, then numerous September to December records. 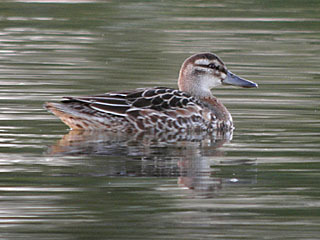 Garganey Uncommon but usually annual passage visitor, singles, or pairs. Mostly occurs on Sandford, Lavell’s or Lea Farm G.P. In March to May, then July to September, but as late as October and even early November. Shoveler Annual winter visitor, staying until mid April, often begin returning in July on Sandford, Lavell’s and LFGP, anything above 40 is a good count, with peak numbers approach 70-80, with over 120 in January 2005. 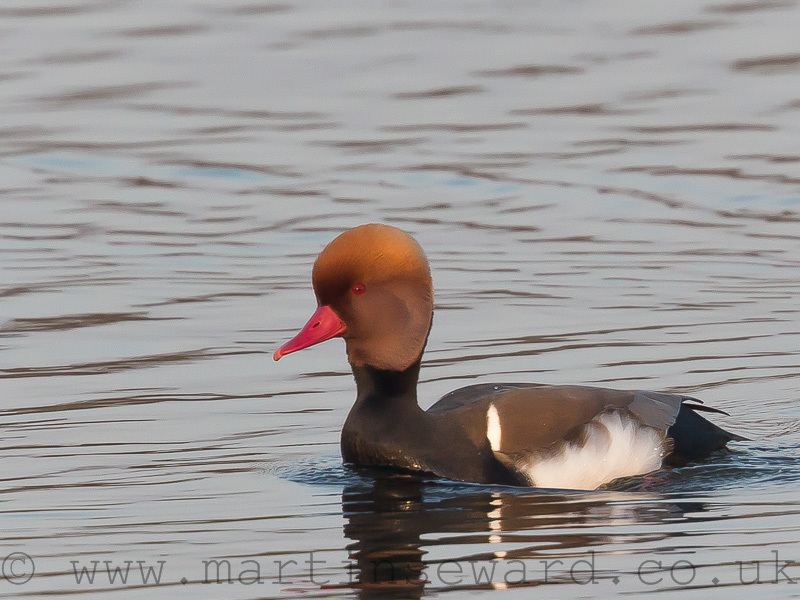 Red-crested Pochard Very uncommon winter visitor, 1-4 birds between January and March, with some out of season records and sometimes September to December. 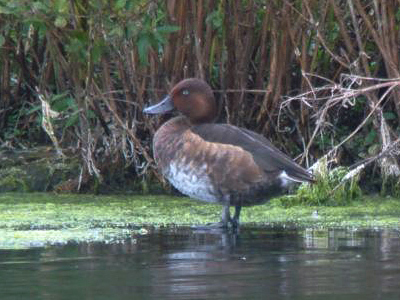 Pochard Common winter visitor numbers around 60-80, rarely over 100 birds, 1-2 sometimes stay until April, then odd birds occur in June and July, but numbers do not start to build up until October. 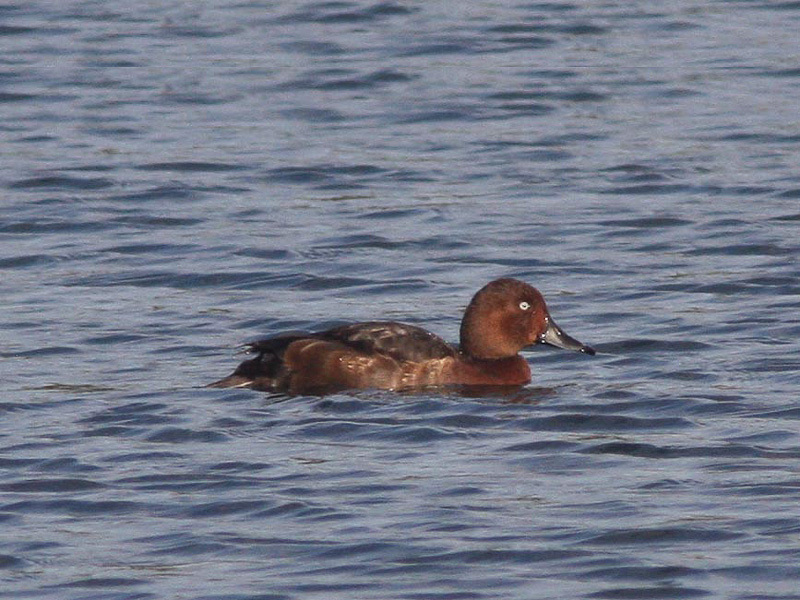 Ferruginous Duck Very rare vagrant, a female on BSL 21st to 27th November 1987, then a male 22nd and 23rd December 1987, a female 18th February to the 11th March 1988, a male on Sandford for just one day on 2nd December 2009 and a male found on Sandford 1st October 2011, moving to WSL and staying until 9th December. 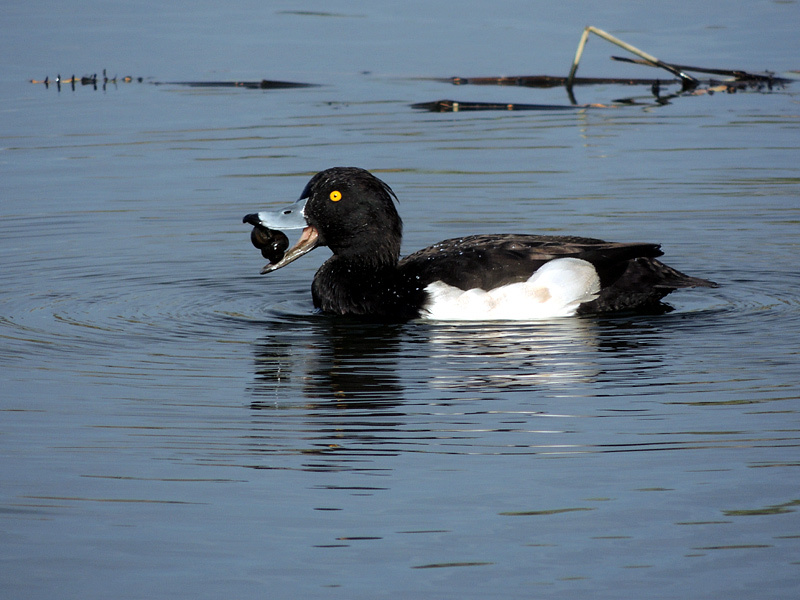 Tufted Duck Common resident, breeds on numerous lakes, young appearing in late June and July. Winter numbers build to around 180-200. 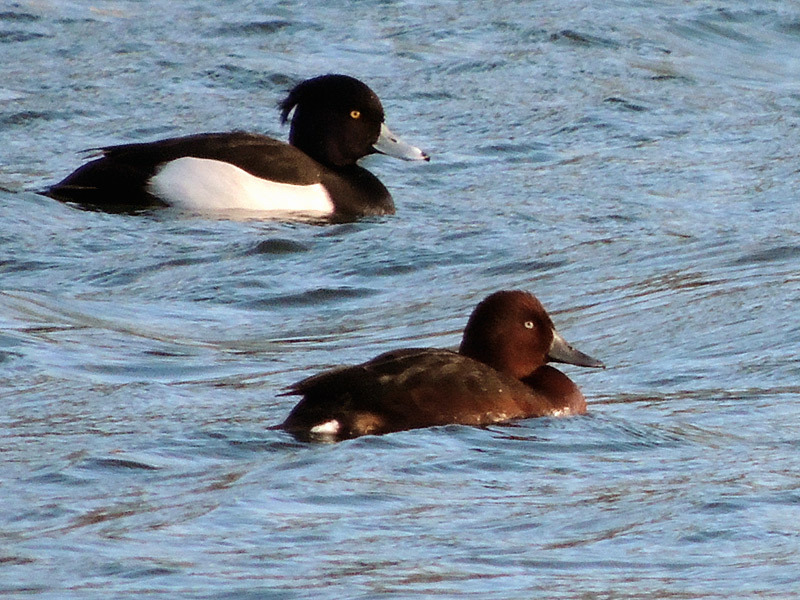 Scaup Rare migrant, usually singles and can stay for weeks, mostly recorded between October and February, but 4 on 11th November 1985, staying til 16th December. There have also been 3 August records. Eider Extremely rare vagrant, a female 31st March 1997 on BSL, then a female 21st April LFGP 2003. Long Tailed Duck Extremely rare vagrant, one record 26th January 1983. 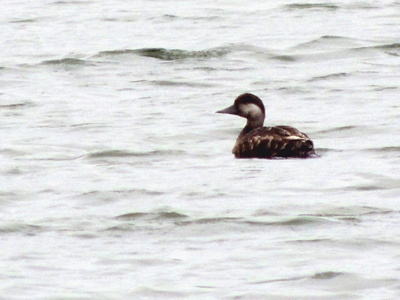 Common Scoter Very rare migrant, 8 records of 1 or 2 birds, 3 records in March, 1 in May, June, July and the last a female on BSL 10th August 2015, prior to that a male on BSL 18th March 2004. 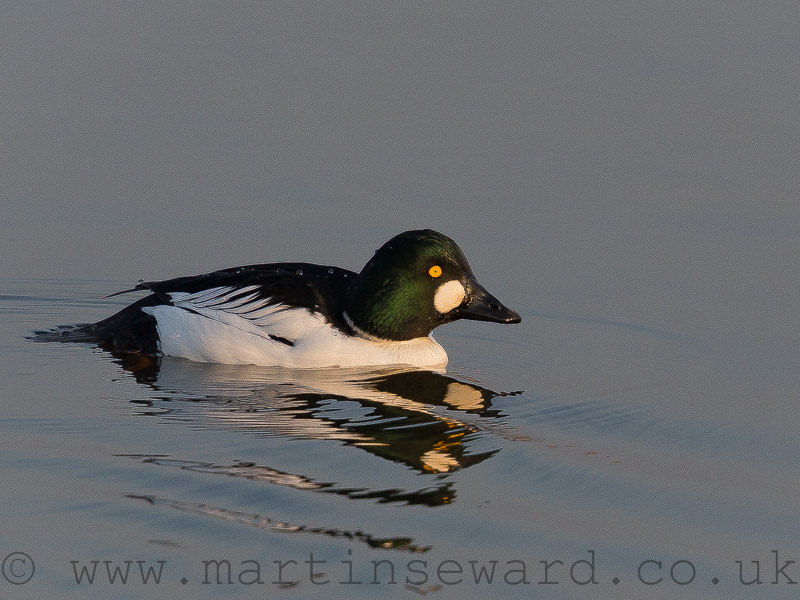 Goldeneye Annual winter visitor with 16- 20 birds, preferring BSL, they rest on Sandford Lake during sailing activity. Small numbers occur on LFGP and move to and from BSL. 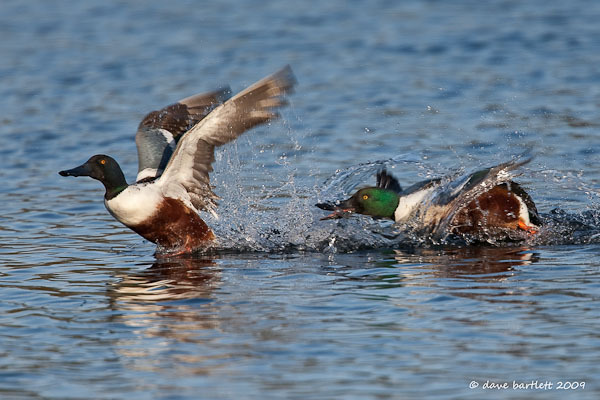 Winter birds linger until late March and April, first returning later in October. 2003 a new record of 43 occurred, and counts of 30+ continued until 2006, but not since. 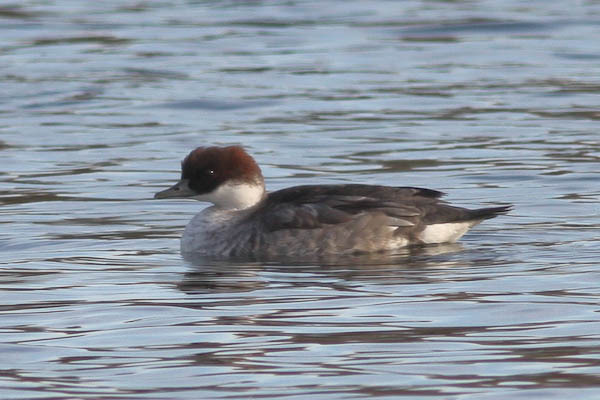 Smew Quite rare winter visitor, 1-3 birds most frequently recorded on Sandford Lake in January, but sometimes February, March, November and December. Red Breasted Merganser Extremely rare vagrant, 4 records, February to March 1979 involving 1-4 birds, 1 on BSL March 23rd 1984, 4 females over 5th March 1986, 1 on 20th January 1990. Goosander Uncommon winter visitor, 1-4 most frequently recorded on Sandford Lake and BSL, or over in December and January, but sometimes February, March and November. 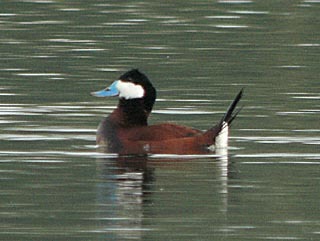 Ruddy Duck Once annual migrant last recorded in December 2012.